Between job and house hunting, packing, and cleaning, I needed a few minutes of creative time to keep me going. I had these pinwheels with no home, so I asked my mother for one of the many rolls of mesh ribbon she has stacked in a corner to use one day. The day had arrived for its transformation! I wove the mesh ribbon in and out of a $2 wire wreath base and paper clipped the pinwheels to the wreath in a pattern that would even out the patterned paper designs. This is the result, and I am thinking of purchasing a refill kit. You just can't beat a kit of premeasured, precut, prescored papers to create a fast and easy project! Don't forget about this GREAT DEAL for 2 months for only $10 each month! This is the perfect time to try Paper Pumpkin and enjoy a mini monthly escape! I am sure you will enjoy assembling the fast and easy, classic projects that you will have to give family, friends, coworkers, teachers, small group members, Sunday School class, and much more. I also learned through packing that you can take boxes outside on the deck to assemble. It has been a few gorgeous, practically no humidity days in Tennessee. I can't stand being trapped inside, so I have been sorting "catch-all" boxes, taping flat boxes to fill, and organizing notes for other projects. I hope you are enjoying a wonderful weekend! I may be out of the loop the next few weeks. I am hoping to move and start a new job next week. At this time, I haven't even called a new internet provider, so it may be a couple weeks before I can fully update my blog. I will be back, so thanks for your understanding. In the meantime, YOU should join PAPER PUMPKIN at 50% off two months! I have to get back to packing and will post when I can. Today is the final day for our annual Stampin' Up! convention. New demonstrators were given a FREE convention registration waiver to attend! That is almost a $300 value! Promotions are announced at convention, and this time it was for Paper Pumpkin! Stampin' Up! even hosted a Paper Pumpkin Party the night before the real party started at convention. If you haven't tried Paper Pumpkin yet, NOW is the time! You will receive 50% off your first two months. With a deal like this, you should tell your friends, and we can have a free Paper Pumpkin Party at my house! Use the code HALFOFF2 to join Paper Pumpkin before September 10, 2014, and get 50% off the first two months! After that time, the creativity will arrive at $19.95 + tax per month (shipping is included). * Discount applied to one kit per month for the first two months of a new subscription. After the first two months, the price for each kit returns to the regular price of $19.95 + tax. * Visit MyPaperPumpkin.com to join. Make sure to choose me, HOLLE WIKTOREK, as your demonstrator. * Enter the Promo Code, "HALFOFF2" when you register. *New subscribers must join by Wednesday, Sept. 10, 204 at 11:50PM (MST). I hope you enjoyed seeing these convention photos of some of the Paper Pumpkin Party and convention fun! I just received my July Paper Pumpkin kit, and it is AWESOME!!! It features lots of gift boxes and cards--perfect timing for a girl who is moving and wants to give thank you treats to those who have helped through this process. Remember that I am giving a special gift of your choice with a Paper Pumpkin purchase this week. Is this Flower Power, or what? Today's swap card share includes flowers galore! This card was created by Lee Conroy. She used "Perfect Penants" and the hostess stamp set, "Bloom with Hope." She embossed the thick cardstock band with large polka dots, spritzed the white cardstock, and added rhinestones. I like the clean, yet sophisticated, look of this card. Rene Watson, my TN friend, swapped this card with our group. She used the "So Very Happy" stamp set, Pear Pizazz chevron ribbon, a pearl, and cardstock to create this card. I like how she created a background by stamping the flower repeatedly on the card base. This next card really shines! It would definitely cheer up someone suffering a loss. Selene Kempton used the hostess set "Bloom with Kindness", rhinestones galore, Blackberry Bliss cardstock, ink, and ribbon, and Smoky Slate cardstock as the base. I like how each of these cards is easy to mass produce if I wanted to create a stack of cards to have ready to send family and friends. Sometimes I create the design and wait to add the greeting until I know the occasion I need. All thse ladies have shared great cards, and there are more to come! You know me, I like the fun to last as long as possible! Click the Paper Pumpkin box to subscribe. CLICK HERE to learn about the program. Five weeks ago, I enrolled in an incredible Stampin' Up! training program called "Paper Pumpkin Boot Camp." I expected to learn lots and be super motivated--as I have been in most all SU! training programs. However, this program has been even better than I imagined. Before the training, I felt knowledgeable because I heard the product release announcement at Leadership and saw many samples. I learned more at convention and as a subscriber. I also own several kits! What else will they teach me?? I was thrilled to see the Paper Pumpkin program improve this year! There is always something new to learn and ways to grow ideas when demonstrators and stamps unite! I am in the middle of a house move and job hunt, so I have not met my goal yet. I see boxes, boxes, and more boxes in my house. No people. Just boxes. Wouldn't it be awesome if they looked like this cute one? 9 - Warm Up! When I create, I sometimes have to get in the mood. After I complete a "warm up activity" by following the kit directions (Direction picture steps-love those! ), I am in the mood to create extra projects I planned to start or never finished. I am truly inspired by this monthly class project kit in a box! 7- Anticipation-You must subscribe by the 10th of the month to receive the kit around the 15th of the month. After the 10th, stalking the mailbox begins! It may sound silly, but I get super excited (giddy, really) to see what's in the box! 6-Pretty Package!I love how the box is bright orange like a pumpkin to remind me that "my carriage awaits." The blue tissue paper adhered with the Paper Pumpkin logo sticker is too pretty to open. The box also includes a Paper Pumpkin printed die cut thank you card-too cute! 5-A gift just for ME! My subscription is a gift. I enjoy receiving mail, other than bills. Packages are even better! This box simply makes me happy, and I enjoy it! Sometimes I wait to create projects on a stressful day because it prevents all negativity. This box takes me to my "happy place." It feels like it's my birthday every month when I can celebrate with a Paper Pumpkin kit! 4-No therapy needed! When I have my daily dose of creativity, I save myself the time and money needed to visit a psychologist. When I am creative, I have a renewed spirit and energy. Besides Jesus, family, and friends...creativity fuels my soul. When this Mama is happy, everybody's happy! 3-Exclusive products for subscribers! The items are only available to subscribers, and there are refill kits for US, too! Exclusivity can help you feel even more special. You have something others want! How could someone NOT like the June pinwheel kit?? 2-A Challenge! I enjoy the challenge of guessing the kit project type (cards, mini scrapbooks, treat bags, banners, pinwheels, and more). I also love the challenge of creating something different than the project sample sometimes. 1-20-30 minute "creative escape" (quick, easy projects=instant gratification) Sometimes I invite my son to "play with the products" and help me complete the projects. This gives us quality time together-our favorite! If you need more than my list and my enjoyment with the program, these photographs also tell the story. Paper Pumpkin is a program where you can choose your fairytale ending! Option 1: Buy a prepaid subscription for 1, 3, or 6 months. These are great to give as gifts to yourself, family, or friends! This gift is perfect to give for a birthday, thank you, friendship, Mother's Day, Christmas, or surprise occasion. Another benefit to prepaid subscriptions is that you can add them to a workshop or online order. If you purchased a 6 month subscription for $113.70, you are CLOSE to the $150 qualification for Hostess Benefits/Stampin' Rewards to earn an additional $25 in free products! (The subscription should be redeemed/activiated to qualify for an extra free gift.) CLICK HERE to purchase prepaid subscriptions. Option 2: Pay for the kit each month. You will be billed around the 10th of the month. Option 3: Purchase a prepaid subscription for yourself, family member, or friend. You do not have to be a brand new subscriber to enroll in the program with me. I will reward you with a different treat. ANYONE who becomes a prepaid or monthly subscriber and chooses me as the demonstrator, you will receive the following FROM ME. 1. Exclusive access to a Paper Pumpkin members only Facebook page. This is place where subscribers can share project pictures, tips and techniques, inspiration, and much more! I will also hold a Facebook drawing in August and announce the winner on this exclusive member page. We will have contests to see who receives their kit first and last in the group. Other fun incentives will be announced on the group page. 2. Additional Project Ideas for the exclusive stamps and products that arrive in your kit each month. I will create 3-4 additional cards or projects using the stamps. This is meant to inspire you to use the products even after the kit is complete. This will add value to your purchase. You will also be the FIRST to see these samples. They will not be posted on my blog--only on the exclusive member page. You can also see the samples at our monthly party. Subscribers are invited to an exclusive and free event every month! Members can complete the month's projects, work on past kits, bring your project to share, work on Christmas cards or scrapbook pages, etc. You are also welcome to use my nonconsumable supplies! This event is a great way to plan social creativity each month, and it is FREE! This is an example of the label inserts to slide inside the clear mount stamp cases. I use these to store my stamps. If the sets are small, I might include a few sets in one case. I designed this label case insert using My Digital Studio. You may choose a free gift once you subscribe or redeem your prepaid subscription (choose me as your demonstrator). Shipping for your monthly kit is included in the $19.99 product fee. Stampin' Up! will send me an email notification when the purchase is complete. What I am offering is an additional "thank you gift" for your purchase and I will ship it for free to you! CLICK THIS LINK to see answers to Frequently Asked Questions. CLICK THIS LINK to begin your order or check out the Paper Pumpkin website! As my card swap share continues, I decided to remain with the "butterfly theme" and show this card created by Jenny Peterson. She used Flashback Designer Series Paper, and I love how it looks like ribbon. She also used rhinestones, baker's twine, and Beach House washi tape as the embellishments for even more fun to this design. The stamp set is called "Well Worded" and can be found on page 106 of the brand new catalog! Michelle Ramal created another butterfly card for my swap sample collection. She went CRAZY with BEAND NEW items in the catalog for this year from In-Colors Blackberry Bliss and Hello Honey to embellishments and framelits. I love it! She used the "Work of Art" stamp set, Scallop Tag Topper framelit, Bitty Butterfly punch, Decorative Dots embossing folder, pearl jewels, Blackberry Bliss 3/8" stitched satin ribbon, and Metallic Baker's Twine. I hope you are enjoying the swap share. Be sure to check out Card Swap Share 1 and Card Swap Share 2 if you want to see more. Don't forget that I also posted gently used stamp sets on my blog this month. I posted prices and will offer discounts for if you purchase more than 1. CLICK HERE for the link. Demonstrator Becky Evans shared this card in the swap share this month. She used "Kinda Eclectic" stamp set, Typeset Designer Series Paper, Starburst framelits, 1" square punch, and Bitty Butterfly punch. This is one of my favorite cards in the challenge this month! Another favorite card was created by Jenn Campbell. She used the same stamp set and created a totally different look. These cards really show the versatility of one stamp set, cardstock, and inks. I find it interesting that we do not sign up for a specific stamp set to use for the swap. Somehow most of us choose different designs. However, I like seeing more than one design using the same set. There are lots of benefits to swapping card ideas, but my favorite is the inspiration and creativity I am filled with when the envelope arrives in my mailbox! I am moving and need funds to pay expenses. My home is smoke free. These stamps are not brand new. I used these stamps in classes, so a few stamps have ink stains. Before I accept payment, I will show you a photo of both sides of each stamp set that interests you, so you are aware of the condition and will be happy with your purchase. These images are some of my favorites, but it is time to share and let others love them like I do! I will ship using Priority Flat Rate boxes that include shipping and tracking. This applies to U.S. residents only. *The stamps with marked are discounted more because there is a defect such as a damaged wood block. The rubber stamp image is fine and will stamp clearly. Thank you for considering a purchase. 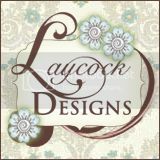 Email me (stampstudioh@hotmail.com) if you are interested or have questions. Stamps will be shipped when PayPal payment is processed. NEW STAMP SETS, PAPER DEAL, WEEKLY DEALS & MORE! Christmas is coming early! This stamp set is available to order TODAY. It is one of my favorites because my grandmother loved cardinals, and it has become our official family mascot. Now is a great time to start working on Christmas cards, treat tags, or scrapbook pages because summer seems to be as busy as the fall and spring--at least for my family. When it is too hard to go outside, cool off with this super cool set! There are also new WEEKLY DEALS to see and new products added to the CLEARANCE RACK on my website. CLICK HERE to start shopping NOW. This is NOT enough! The Designer Series Paper remains on sale as Buy 3, Get 1 Free. There are also 2 BRAND NEW photopolymer stamp sets available--perfect for using your Blendabilities marker sets! Here are the BRAND NEW photopolymer stamp sets.